Easter Sunday can be a tough time to be low carb. If you find yourself at an Easter brunch, you can be sure the table will be decorated with high-carb treats. From sweet pastries to chocolate bunnies, it can be difficult to stick to your low-carb diet. 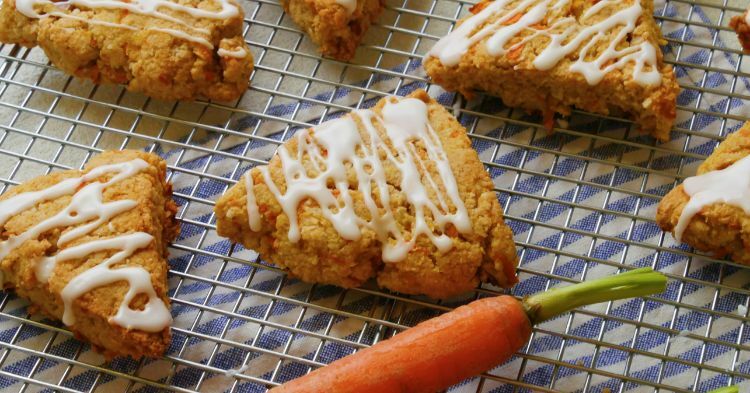 These scones, which taste like carrot cake and even have a pretty glaze drizzled over their tops, are the perfect thing. The recipe uses almond flour as a base, which is full of healthy fats and a bit of protein, too. Chopped nuts, lots of cinnamon and cloves, and shredded carrots infuse them with all the flavors you love in a carrot cake. They’re the perfect match for a cup of coffee. In a large bowl, combine the almond flour, coconut, walnuts, erythritol, baking powder, cinnamon, salt and cloves and stir to mix well. 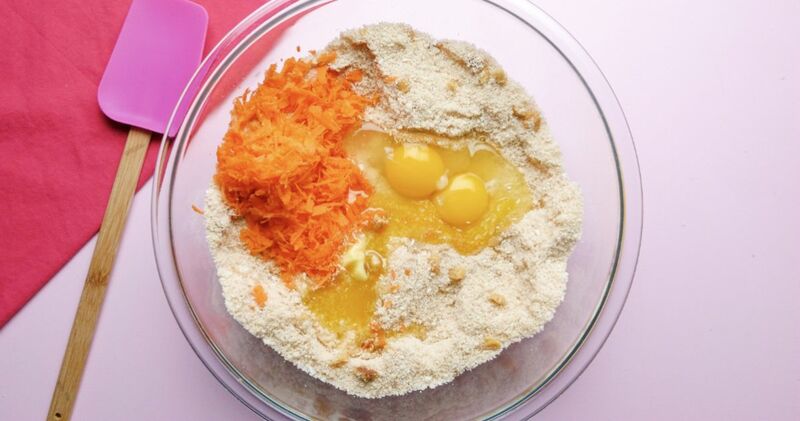 Add the carrots, eggs, butter and vanilla. Stir until the mixture is well combined in a stiff dough. Split the dough in half and form each half into a ball. Flatten the balls into discs about 7 inches across. Cut each disc into 6 wedges and arrange the wedges on the baking sheet, leaving about 1 inch of space in between. Bake for 20 to 25 minutes, until the scones are firm and golden brown on top. Remove from the oven and let cool to room temperature on the baking sheet. Pro-tip: To make glaze, you need 3/4 cups confectioners sugar, 3 tbsp milk, 1 tsp vanilla extract. Stir all ingredients until smooth.